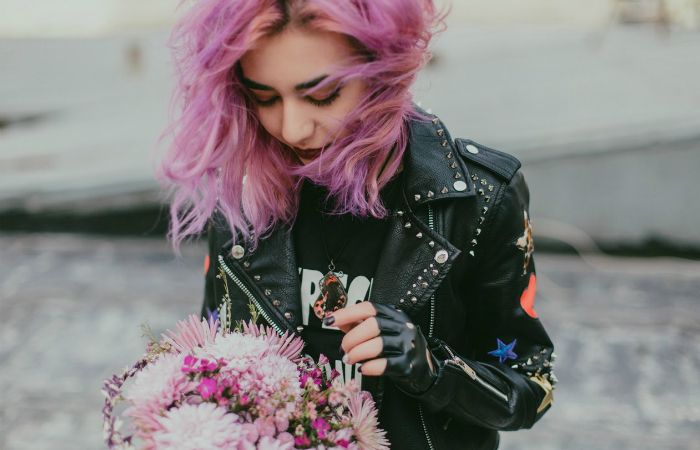 Thinking about coloring your own hair at home? Aside from buying a high-quality dye, you should also use an effective brush. This will ensure a flawless finish. What makes a high-quality dye brush better? Well, if it comes with a kit, you’re looking at a value for money. That’s one of the reasons why ATB Professional Salon Hair Dye Brush is our top choice. 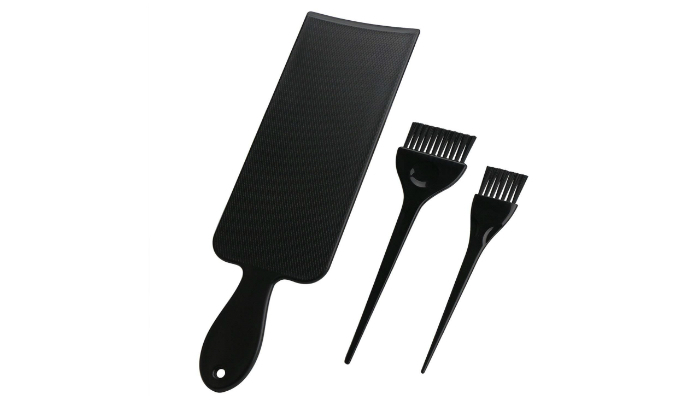 This brush comes with a bowl for mixing and a comb for a more thorough work. It even has two sizes available. The big brush will help you spread the dye fast while the small one is for hard-to-reach spots. Because of its super-slim handle, you’ll be able to hold the brush correctly. How exactly is that possible? Well, it has a thinner handle which you can use to control the brush at different angles. Durability is a priority, too. Good thing that this dye brush has tough bristles. The bristles won’t fall off no matter how frequent you color your hair. By the way, have you ever wondered if you should go for soft or hard bristles? Luckily for you, this brush has a good texture. It is neither stiff nor flimsy. Coloring your own hair can strain your arms. What more if the dye brush is a little bit heavy? With the lightweight structure of Soft ‘N Style Translucent Dye Brush, you’ll find the process more bearable. This product includes three pieces of identical brushes. It doesn’t offer a variety of size and texture, but the number of brushes is handy if you want multiple colors on your hair. Additionally, the coloring mixture will surely stick to the bristles. Low-quality brushes tend to let the liquid slide off in just a few seconds. When dye perfectly sticks to the brush, you’ll have an easier time coloring the back part of your hair. 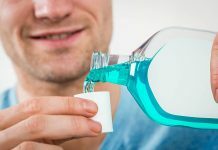 The possible downside of that, however, is more difficult cleaning after the process. Fortunately, once water touches the surface of this particular brush, you can easily wash off the dye. Meanwhile, did you notice the brush’s extra-long handle? That’s actually much better than short handles. With a longer handle, reaching any part of your hair is easier. While other hair coloring kits feature the usual bowl and comb, Segbeauty Balayage Hair Dye Brush comes with a highlight board. The board has a soft curve on both sides to complement the shape your head. It also has a handle to keep your hand comfortable and steady. To prevent your hair from getting tangled during the process, the bristles have a nice cut. They’re also easy to clean. More about the bristles, they’re more on the soft side. They actually have a feathery texture to resemble paintbrushes. That can actually be a good thing since softer bristles spread color easily. All of these features make this product ideal for achieving a balayage or ombré look. It can also be effective for putting keratin on your hair. From soft bristles, let’s proceed to the stiffer kind. 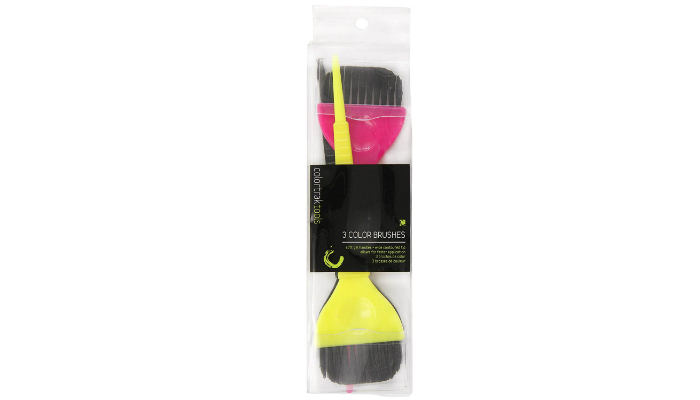 Colortrak Wide Color Brush uses firm rounded bristles to prevent fraying. This prolongs the brush’s lifespan. If you look closely, you’ll notice that there’s a circular groove on the brush’s head. This is technically called a thumb groove to enhance your control. More about the head part, it is wider than most dye brushes. This size is perfect for coloring long, thick hair. Moving on, if you’re particular about storage, this brush includes a transparent cap for the bristles. The cap ensures that the bristles will stay clean and sturdy. Lastly, the handle has a unique touch. It has a rubber grip for comfort and control. Have you ever heard of silicone dye brushes? If this is new to you, then you’re in for a treat! Onedor Silicone Hair Coloring Brush has a unique head that can be removed for cleaning or replacement. It even has an angled type for complex styles like ombre. Now, what’s so good about silicone brushes? It turns out that flat “bristles” are better for even coating. So, if you’re meticulous about uniformity, don’t hesitate to choose this product. If you don’t care about free stuff like bowls, combs, highlight boards, and extra brushes, ALINCAS Large Hair Art Tint Brush is what you need. It is much cheaper than other choices because it stands alone. Despite its low price, this dye brush is very durable. It can last for more than a year even if you’d use it frequently. Choosing the best hair dye brush is super-easy. You just have to think about three things: the bristles, head, and handle. What can you expect from such a simple tool, anyway? 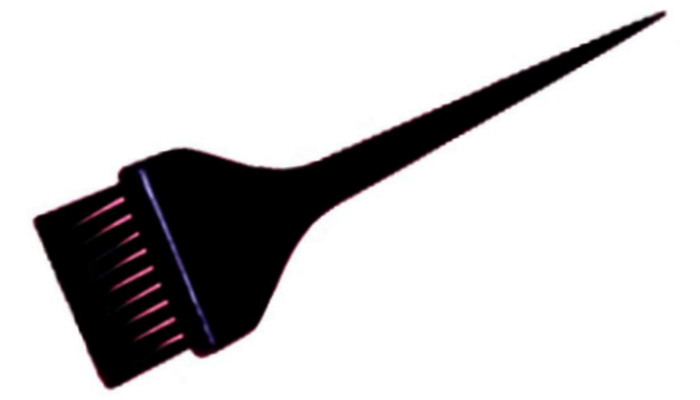 A good dye brush should have bristles that can spread the mixture perfectly around your hair. It should be able to reach deeper strands for a more even look. What about the hardness factor? It’s always about balance. 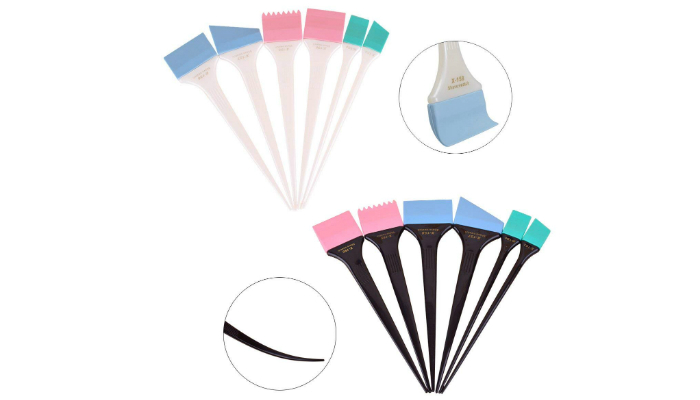 The bristles should have the right level of firmness to balance performance and durability. If they’re too soft or too sturdy, they would either fall out easily or fail to spread the mixture effectively. On the other hand, you may opt for the silicone head type. However, it’s not ideal for thick hair. You’ll have a hard time coloring deeper strands because of its flat, solid structure. Should the brush’s head be wide or narrow? Wider heads are great for efficiency. They can cover a big section of your hair in just a few minutes. This is crucial for people with long, thick hair. Meanwhile, the shorter type is effective for a more meticulous work. It can easily reach strands near your nape and ears. It is also perfect for thoroughly coloring the strands at your hairline or bangs. It goes without saying that the handle should have a comfortable, non-slip grip. A lightweight handle is also important to avoid straining your arms. As long as the brush has a long, slim handle with a pointy tip, it can help you divide and color your hair fast. It will let you position the bristles at any angle. 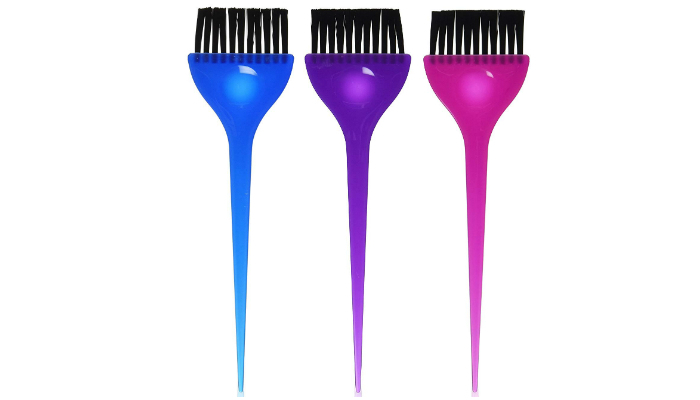 Considering its bristles, head, and handle, ATB Professional Salon Hair Dye Brush is our number one choice. 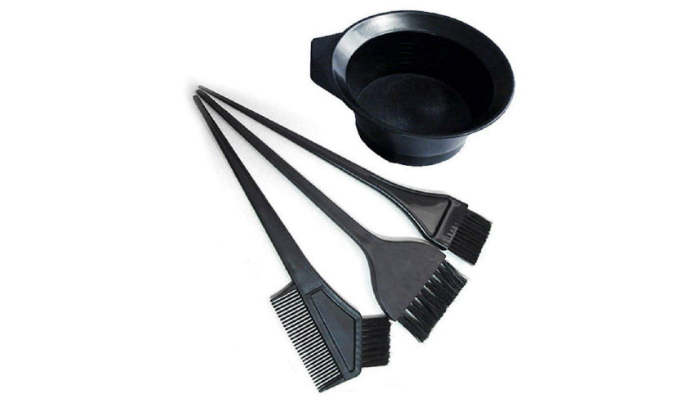 As a plus, the best hair dye brush comes with a bowl, comb, and extra brush for your convenience. If you’re planning to rock a beautiful ombré, you have to give it volume. Learn how to use a hot air brush to achieve that. For other products you might need when you finally color your hair, check out the best microfiber towels and shampoos for colored strands.